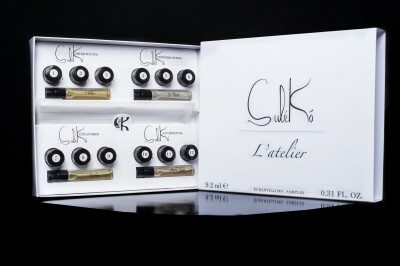 L’atelier, our Perfume Master Class is a journey across the four seasons of Sulékó. Within each season, scents meet emotions and create Sulékó’s language of scents. This journey will help each participant with the complex and very personal search for a perfume. It is an invitation to learn the language of scents, an introduction to the universe of perfume. You may experience this journey wherever you are around the world as it is available in an “online format”. Once you buy your private access to our online video Master Class on our online boutique, we will mail you a discovery box of samples containing the scent ingredients and perfumes that you will discover step by step, while watching the video. The Master Class lasts one hour, it is presented by Anastasia Sokolow, the founder of Sulékó. It is available in French, English and Russian.